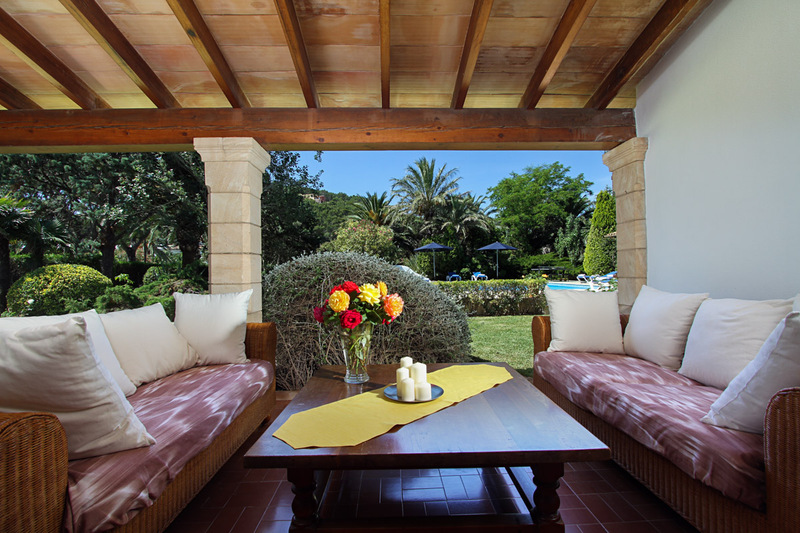 Villa Skye is a large, 7-bedroom villa, situated in a fabulous location. 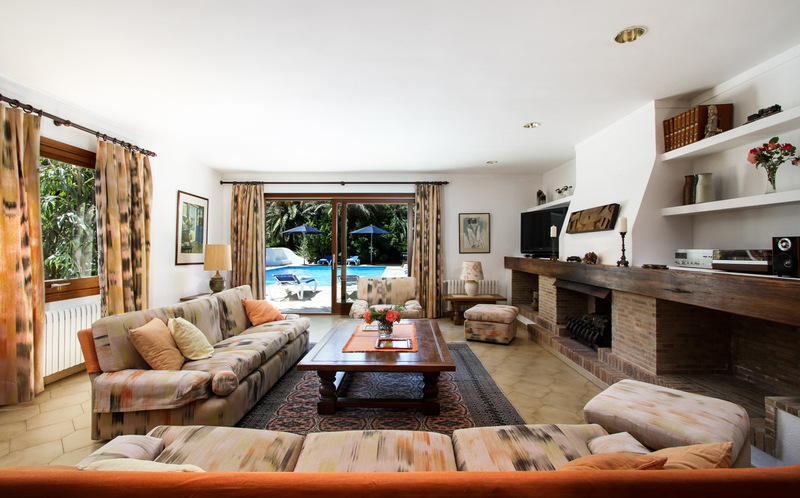 This charming property, is about 500 meters away from the picturesque bay of Puerto Pollensa, so you can take a dip in the sea with ease! 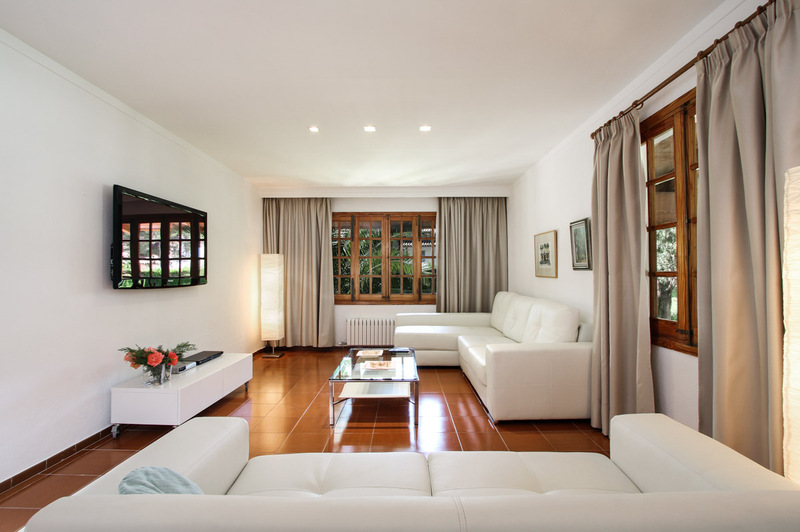 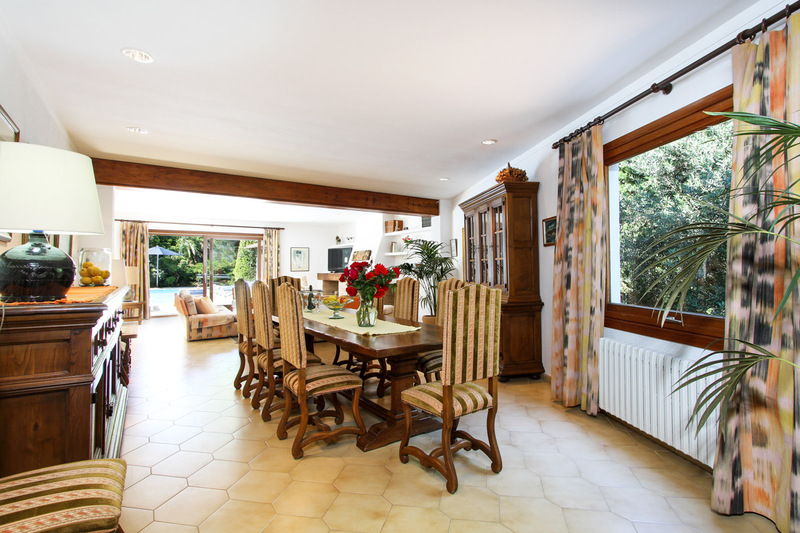 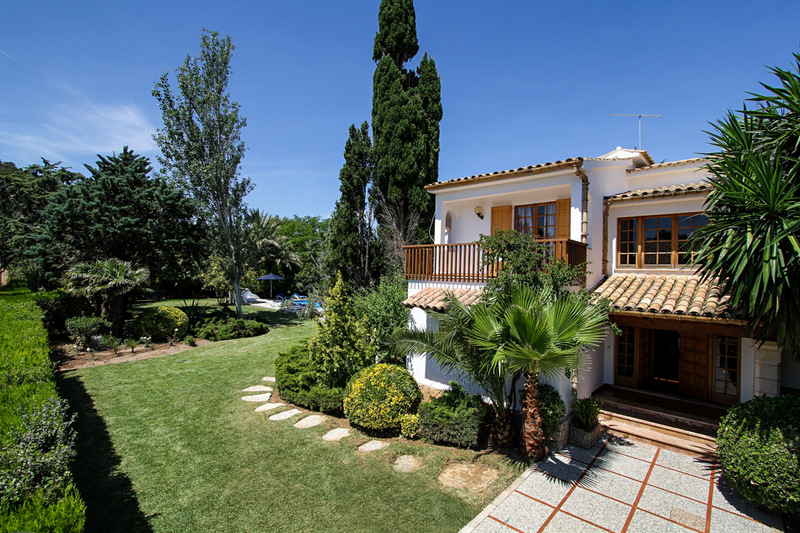 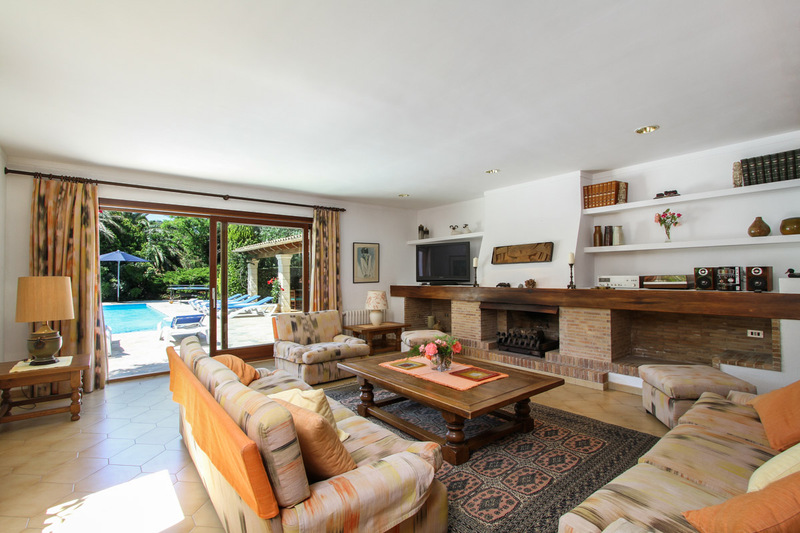 The villa is located in an elegant housing estate called Gotmar, surrounded by a large garden, lined by cypresses, yew trees and large grass areas, making for a romantic, laid-back setting for a holiday retreat away. 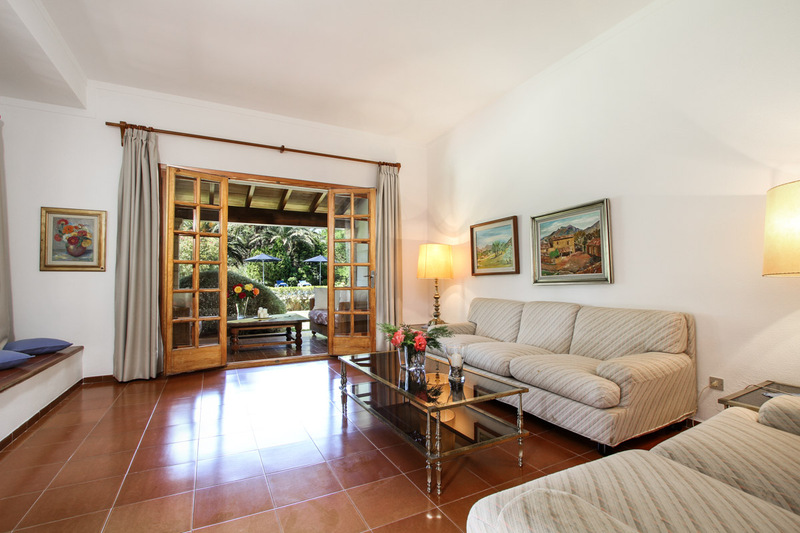 The spacious entrance hall leads the way to two different lounges and a covered terrace with access to the fabulous pool. 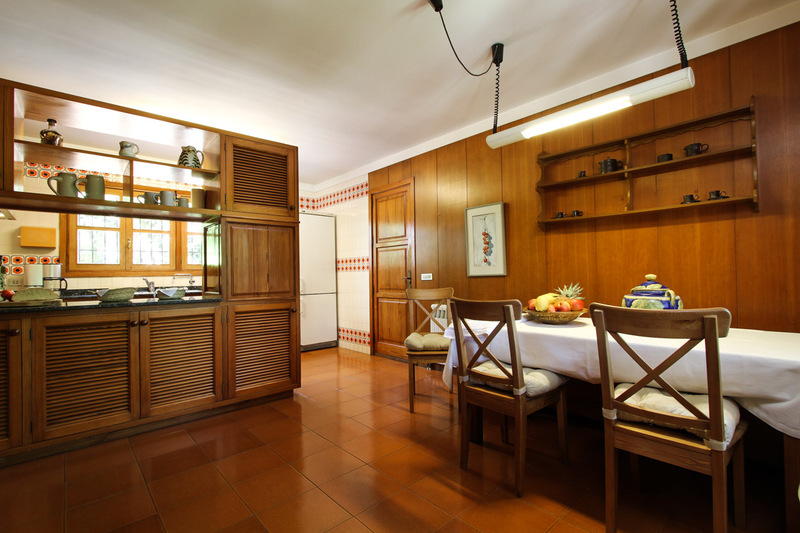 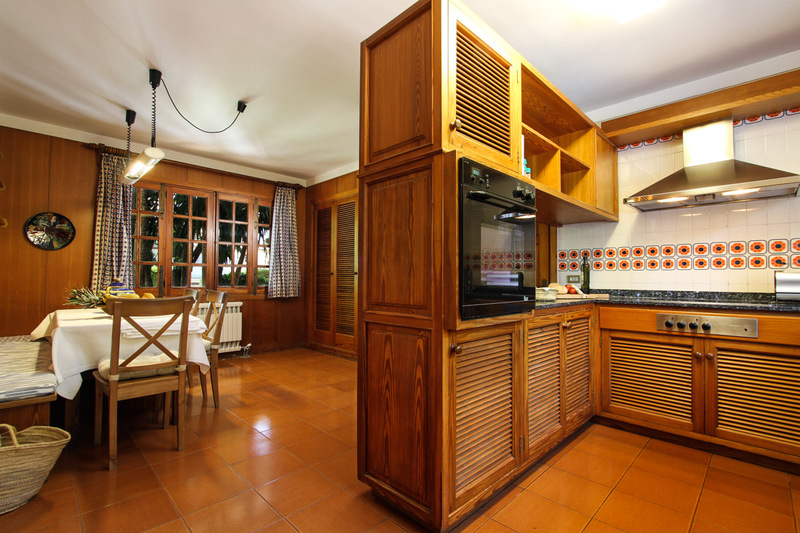 On the right side of the entrance you find a large, modern kitchen, fully equipped for your use and offering access to a terrace with fruit trees, making for a unique, desirable cooking environment. 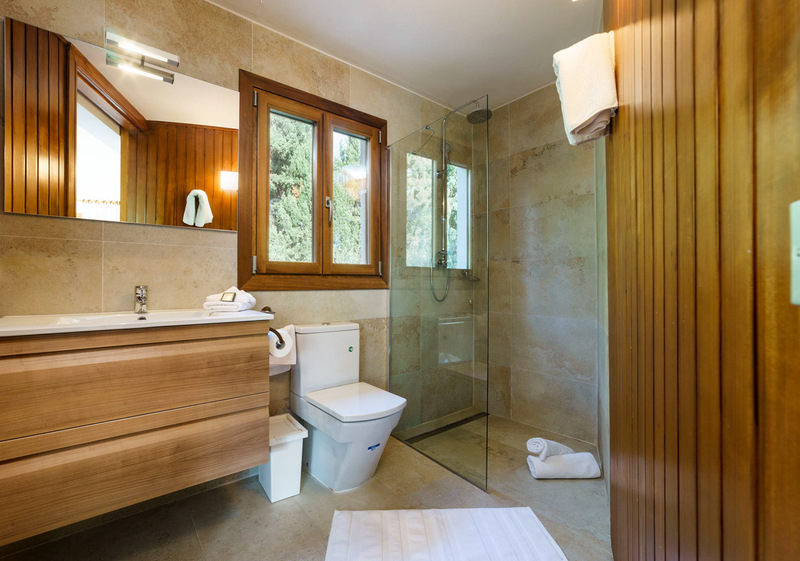 Back in the hall, a small passage way leads to the WC and an en-suite double bedroom. 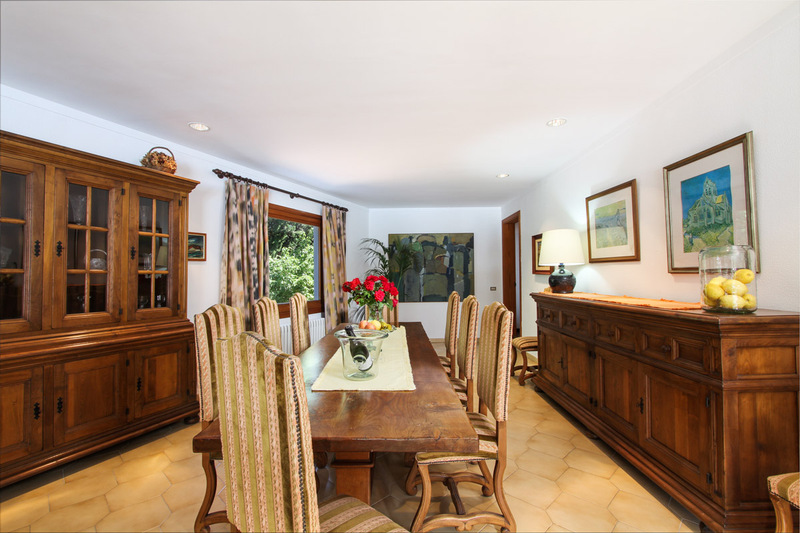 There is also a large, living/dining room with a feature fireplace, and gorgeous views through panoramic glass doors to the stone terrace, ideal for meals as a family. 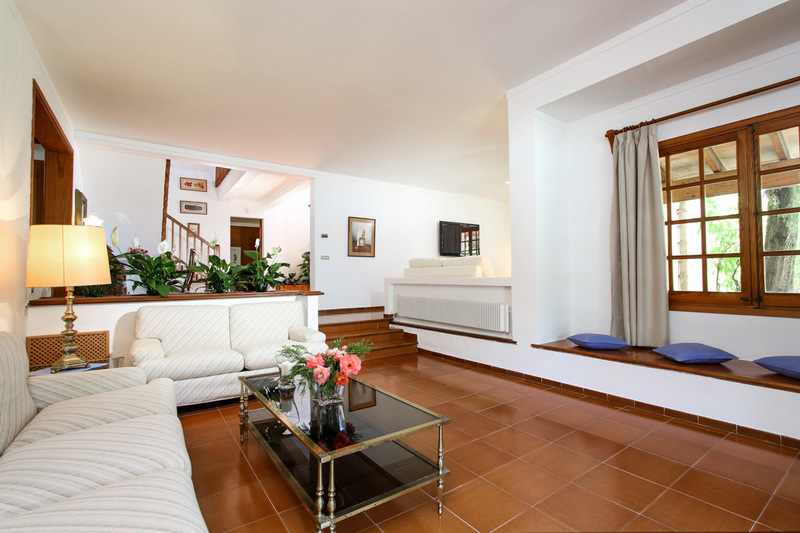 A staircase takes you up to the first floor and the remaining bedrooms. 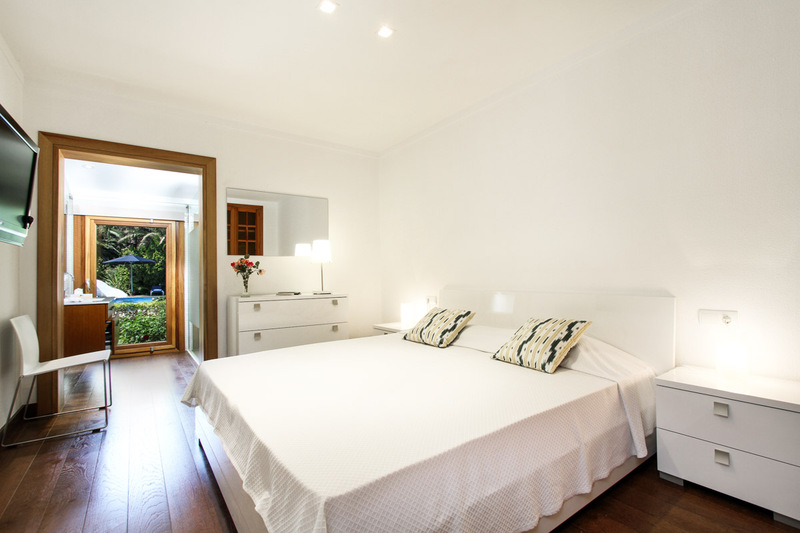 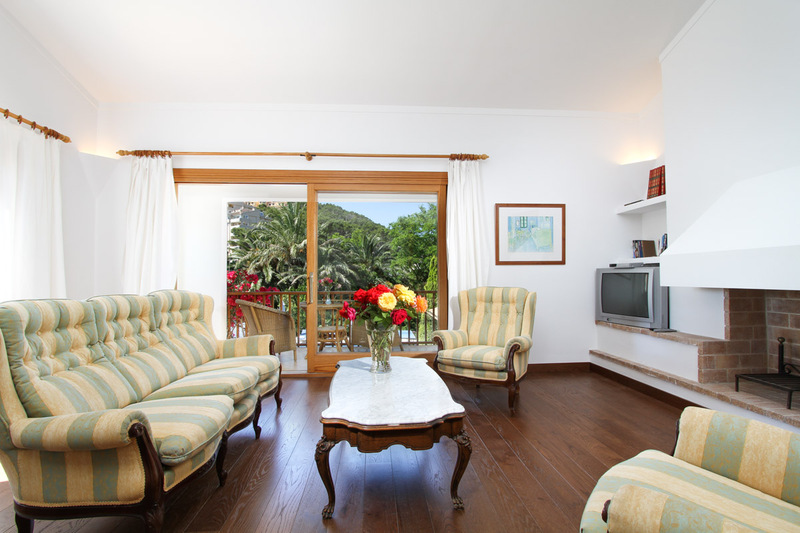 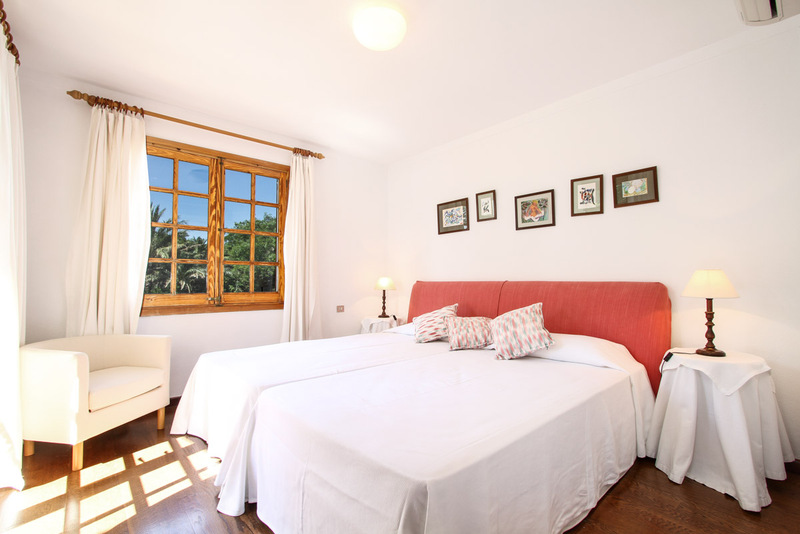 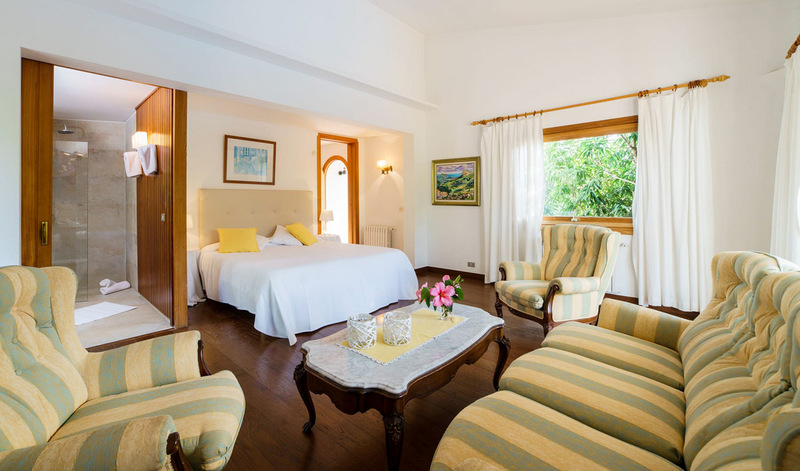 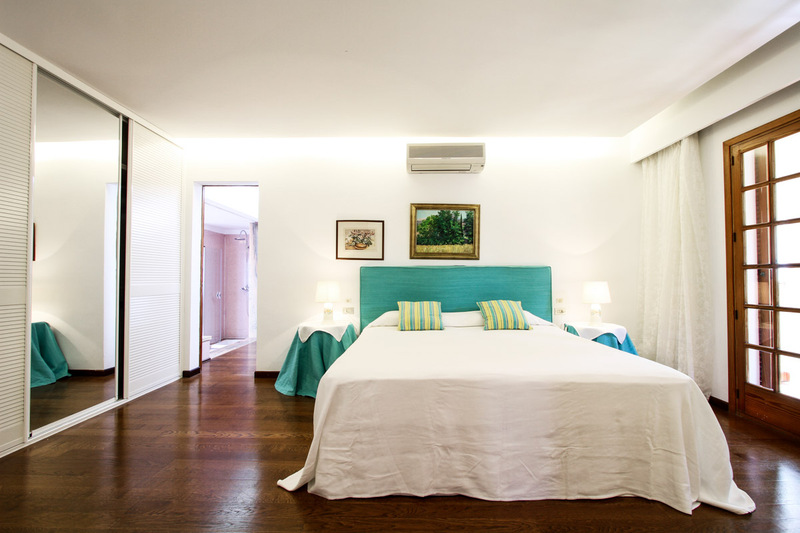 There is a spacious master bedroom, boasting an en-suite and a balcony. 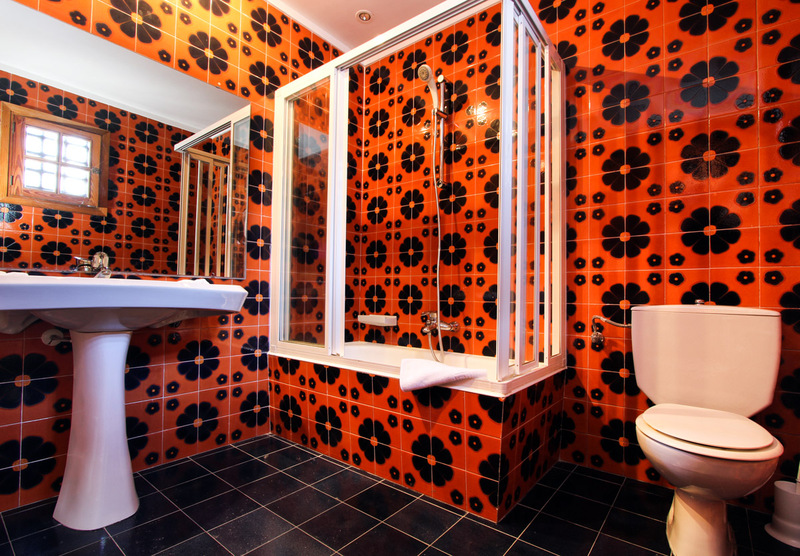 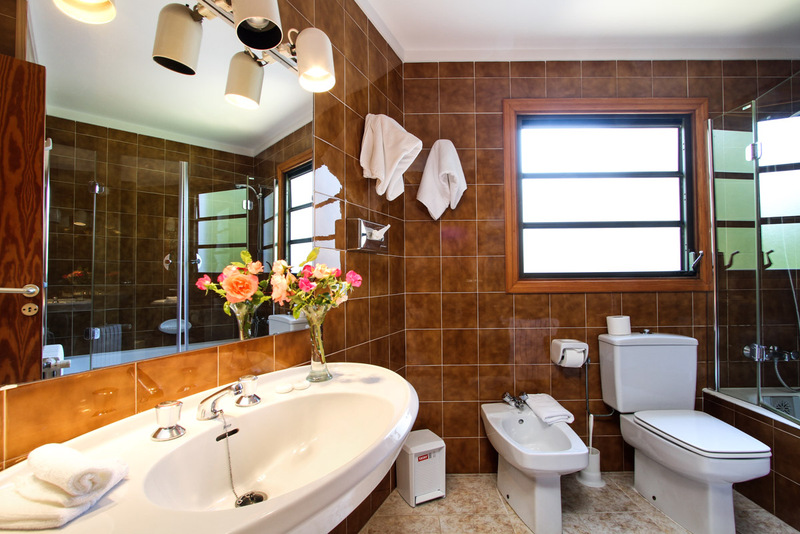 There are 2 further double bedroom each with a balcony, that share a bathroom. 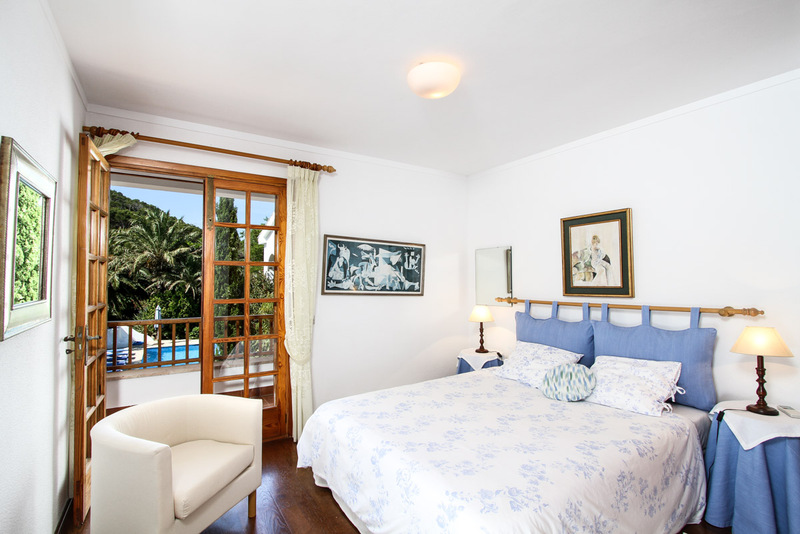 The final three double bedrooms, all offer en-suite bathrooms, one of which offers access down a staircase to the pool. 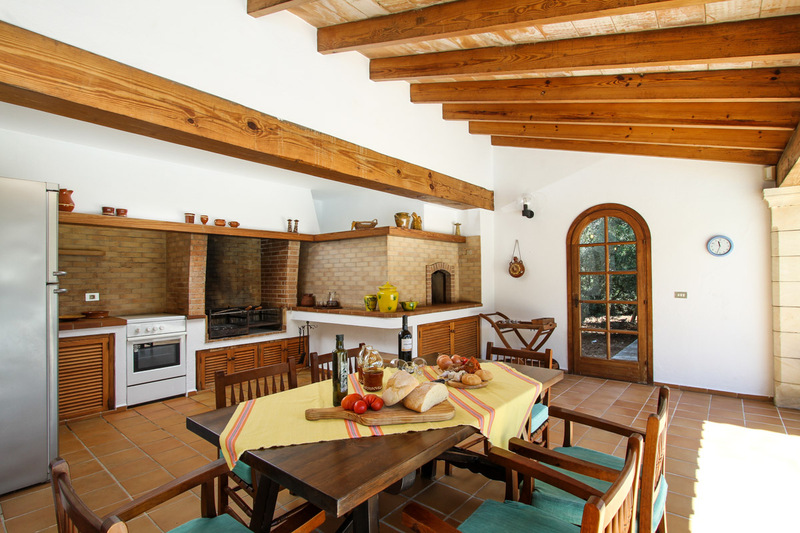 Outside, there is a characterful barbecue house, with a completely equipped summer kitchen, a really unique opportunity to cook al-fresco, for those outdoor lovers. 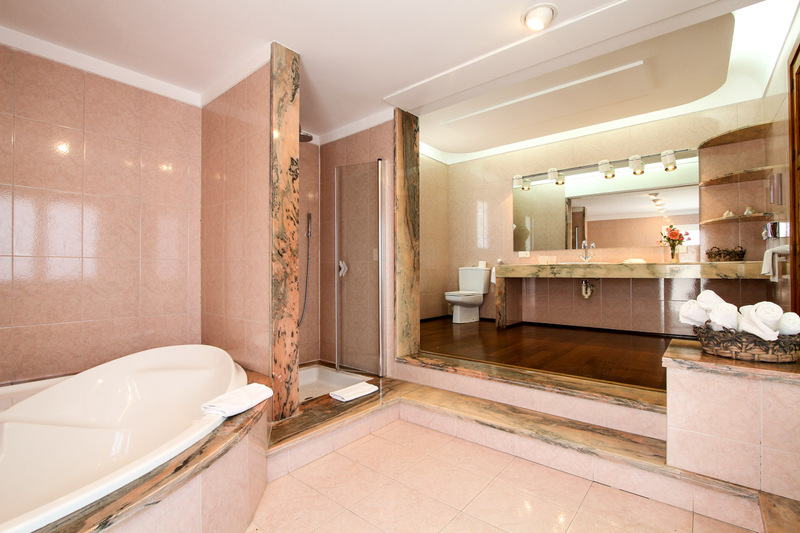 Next to it, there is a changing room, with built-in wardrobes and a bathroom for your convenience. 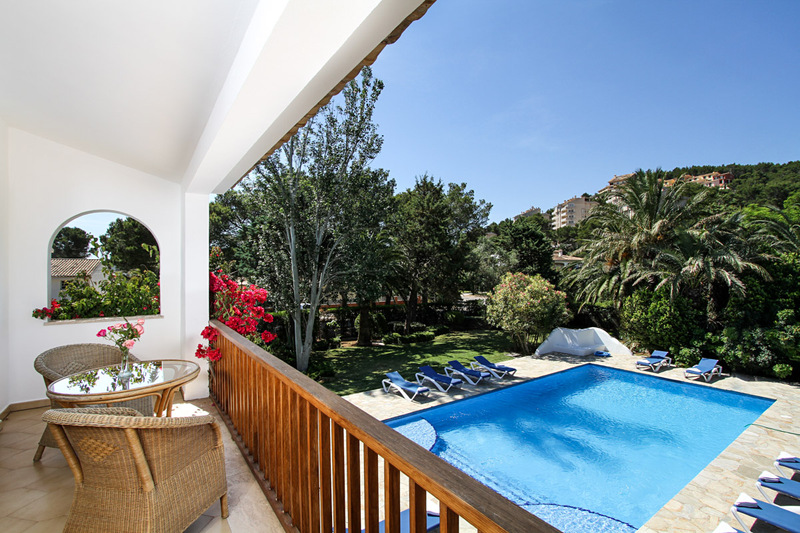 The large swimming pool is ideal for families with children and can be equipped with a high quality fence for added security with young children. 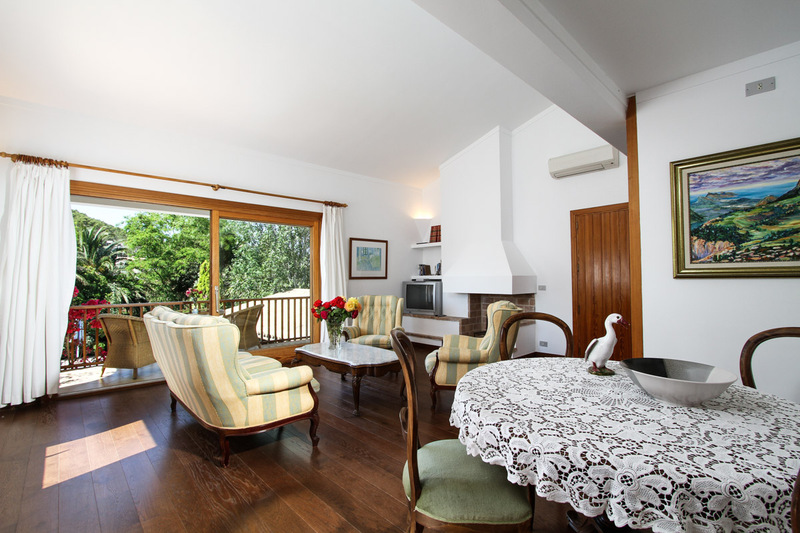 With plenty of space for everyone to spread out, whilst also finding time to themselves, whether inside or out. 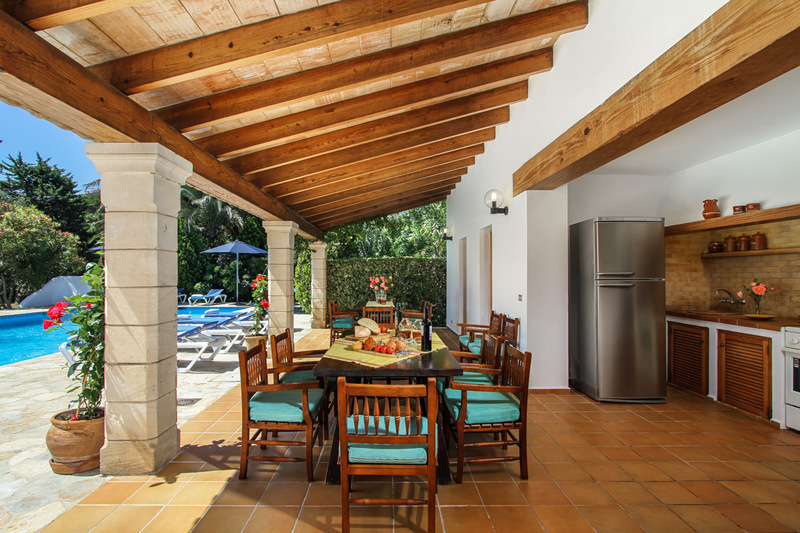 Villa Skye, offers a dreamy living environment, where you can enjoy the long summer days, dining on the outdoor terrace and spending time together.